Our goal is to develop the business talents, capabilities, leadership and skills of women entrepreneurs and empower women to be fun, fabulous, fearless females. Your top relationship strategies: Share how you develop relationships to grow your business. At our Coffee Connections we will be giving tips for business as well as networking so come by the next one. Meet some new people, network, and learn! “What an amazing workshop we had with Audrey Cavenecia on Thursday night! 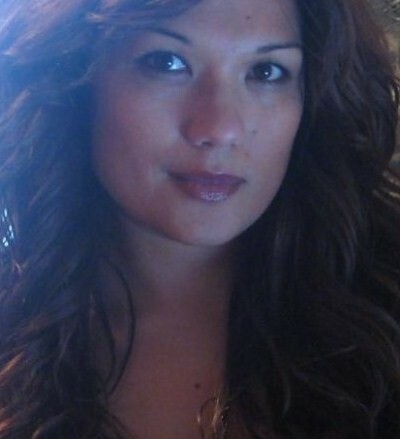 For those of you who missed, I strongly encourage you to visit her website at http://www.herturningpoint.com. In just a few short hours, she helped me and many others gain tremendous clarity and focus to move toward our life’s design! Call two to three people a day every day this week for your business. Thank them for their business, ask them for referrals, follow up on service, something. 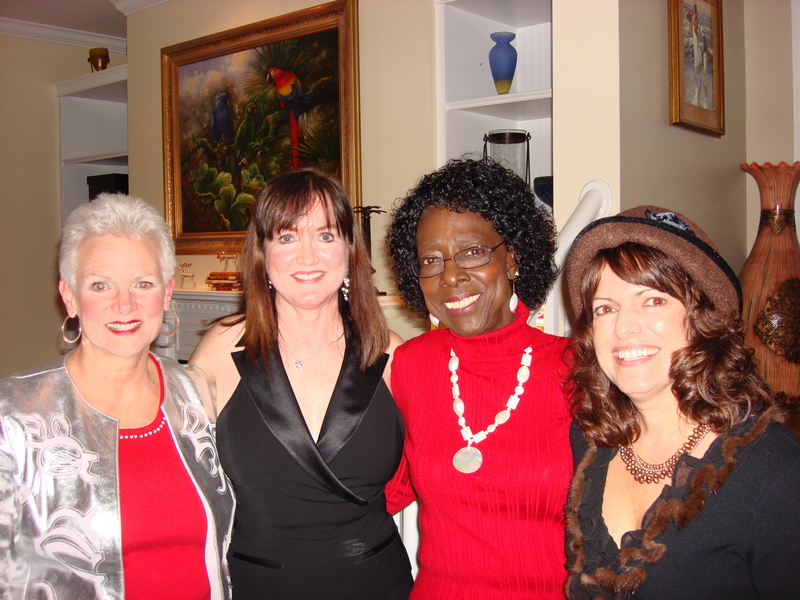 Join us for a very special 2010 ECEW Launch Event on Thursday, January 14th! Why go into another year knowing you aren’t fully yourself… fully emerged? It’s a common experience for women to battle with who they really are and what they truly want. You will walk away with is a sense of peace and vitality about your life, the access to who you are and what you want. Audrey Cavenecia, California-based veteran Coach and Entrepreneur, will speak to how we as women can, once and for all, get to the source of what we really want. Catering By Caroline is providing catering for the event! Space is limited! Register now! Log on to http://www.ecewsc.com. 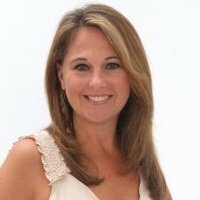 Audrey Cavenecia is a veteran coach and creator of Her Turning Point™, 40andWOW.com and WOWisforWoman.com based in San Francisco, California. She has led personal development programs impacting over 100,000 individuals and has coached global leaders, celebrities and Fortune 100 executives with her unique approach. She is no ordinary business woman. She is a visionary, innovative leader and a beacon of inspiration. Audrey believes strongly that “everyone has something profound to contribute.” Now that we are “linked together” through collaborative networks, we must boldly step forward with something fresh to say. As you head out to parties in the coming days and weeks, do not forget to put cards in your pocket or small purse. It is amazing how many times I grab a small bag and forget to throw one or two in and then need them…. This is where you see people you don’t always see and meet new people! Take advantage of these encounters. I am looking for success stories from being a member of ECEW. Whether it is a business relationship you made at a coffee connection, a client you obtained from a referral. Please send them to amy@themouseexperts.com. 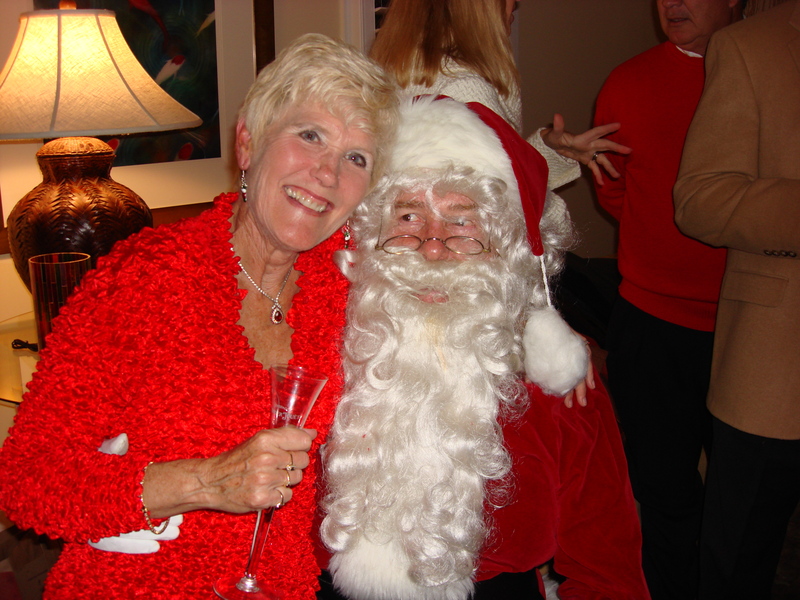 If you would like to share your ECEW holiday photos, please email Celeste at fortier.celeste@yahoo.com. The conversation darted and shifted among the nearly 200 businesswomen who filled The Citadel’s cavernous alumni hall. Have you been to our Coffee Connection lately? Earn the designation Certified Coach Practitioner in this information-packed hands-on course designed to take your experience to the next level. Register now to reserve your spot, and mention the East Cooper entrepreneurial Women for a donation back to the organization. Visit www.CertifiedCoachesFederation.com, messages at 866-455-2155, or call Certified Master Coach Trainer Cathy direct at 843-209-2641. Come Eat, shop and play locally. View live performances, shop local vendors, listen to live jazz, play in our winter wonderland with Real Snow, and visit with Santa, Scrooge and The Grinch all for a good cause. $5 entry donation, children under 12 free. For more information, visit us online at www.suchandsuchevents.com or call 843.971.2860. Grand Ideas Annual Open (Ware) House Sale! 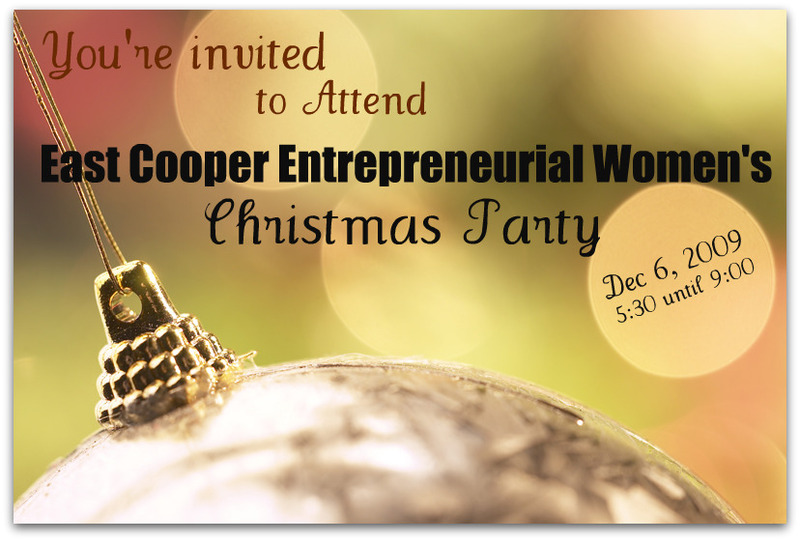 East Cooper Entrepreneurial Women (ECEW) was founded in 2007 to foster networking and professional development of who live or work East of the Cooper. Since that time our membership has grown to over 150 business women representing all aspects of our business community. I know we have all heard it before but it is so important to actually follow-up and make those contacts. I schedule it into my week three times; Mondays, Wednesday, and Fridays. Of course that is going to change depending on the industry you are in but schedule it into your work week however you can.. I find when I follow up it really opens up that dialogue again with people I had been quoting packages to or even talking to about pricing and have not even made it that far. More of my closes comes from that follow up contact. People’s lives are busy, they need a reminder. Keep it simple. I send an email to them that says, “I hope this email finds you well. I am writing to follow up and see if I can answer any questions on a future Disney vacation?” Historically, I get a really good response from this. Better yet, call them. Most of our social, economic, and political problems are rooted in the desire to get something for nothing, multiplied in intensity by the twin emotions of envy and resentment. Just as the lowest common denominators of human nature are greed and laziness, the fastest and easiest way to justify an attempt to get something for nothing is to proclaim that those who have what you want do not deserve it, and you do. There are two general ways of looking at the world. A person can have a benevolent worldview or a malevolent worldview. A person with a benevolent worldview looks at life and the world honestly and realistically, recognizing that there are many problems and deficiencies, but for the most part, it is a good place and definitely preferable to the alternatives. People who have a benevolent worldview create everything good and worthwhile in society. People with a malevolent worldview, on the other hand, are primarily negative and cynical in their outlooks. They look for the worst in people and situations. They are characterized by low self-esteem and self-worth. They don’t like themselves, and as a result, they don’t like many others. They see problems everywhere. They see injustice, oppression, unfairness, and inequalities of income and status. No solution is ever enough. No situation is every satisfactory. For these people, there is always something wrong. The central role of self-esteem and self-image-how much you like yourself and how you see yourself-cannot be overemphasized. They constitute the person you are inside. These core elements of your personality have overwhelming affects on your worldview. Each person has a deep inner need to feel important and valuable, and be respected by others. Each person needs to believe in something bigger than himself. At the political level, there will always be opportunistic people who will offer to represent those who do not want to work for what they get. These opportunistic politicians will create elaborate arguments to prove why these prospective voters should be given free money. As soon as the specter of free money, of something for nothing or very little, raises its ugly head, more and more people will attempt to get it. The two great questions you have to ponder when considering any personal and government action are these: First, “Is it true for me?” Is what you are saying or hearing true for you, or do you think it may be true for others, but not for yourself? Listen to your inner voice. Be perfectly honest with yourself. Trust your own instincts. Only accept the premise or promise that feels right and is consistent with your own personal knowledge and experience.